Since Daniel Ortega unleashed a brutal repression against the demonstrations demanding the end of his term, after eleven years of authoritarian rule, more than 30,000 Nicaraguans have fled the country to go to Costa Rica, confirmed immigration authorities in that neighboring country. Many of them actively participated in the roadblocks/barricades and are accused of crimes related to terrorism or persecuted to “settle old scores” for their active role at the municipal level against the regime. A team from Confidencial travelled in mid-October to document this new exodus of Nicaraguans in Costa Rican territory, to gather their stories and the difficulties they face in that country. This special report brings together some of those personal stories of dedication, courage and commitment of Nicaraguans seeking refuge in Costa Rica. 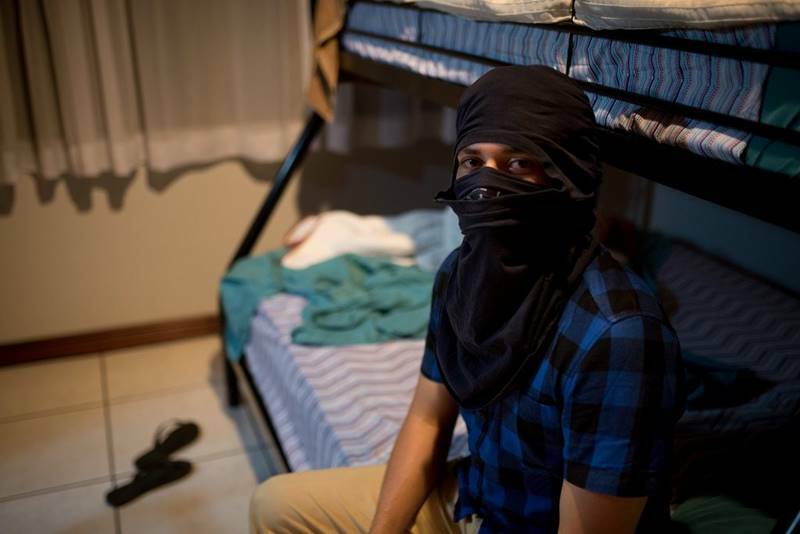 Andres, a medical student, had to flee because of his involvement in the protests in Leon. At five o’clock on the afternoon of a day in mid-October in downtown San Jose, Costa Rica, there is a frenzy of pedestrians, public transportation buses, taxis and private cars that try to advance in what is a tide of vehicles that move at an infuriating slowness. The temperature has dropped to 18 degrees Celsius (64 F) and the sky has dressed in a menacing gray, prelude to a storm, which has darkened the alleys of the center of this capital and gives a mournful air to the masses of stones like the Jade Museum, located in front of the “Plaza de la Democracia” (Democracy square), which commemorates the abolition of the Army in this country that sells itself to the world as a place of peace. Andres, a 23 years-old young man, comes down the square at a hurried pace. It is the peak hour of traffic and he is afraid of being trapped in the “dam”, as the “ticos” (Costa Ricans) call these devilish traffic jams. The boy stops abruptly and greets us: he has recognized the team of Confidencial that for a week has traveled to Costa Rica to document the exodus of thousands of “nicas” who fled the terror unleashed by the dictatorship of Daniel Ortega and Rosario Murillo. We hugged each other as if it were the reunion of old friends. Andres gave a quick account of his departure from Leon—where he was studying medicine–, the escape by trails from Matagalpa (his home), and paying 150 dollars to a “coyote” to help him cross the border through unmonitored passages and his days in Costa Rica, where he lives as a refugee in the house of a supportive family, where he sleeps on a mattress on the floor. “It is difficult,” says this young man, who was close to graduating as a doctor from the National Autonomous University of Nicaragua (UNAN-Leon). We had interviewed Andres in April in Leon. 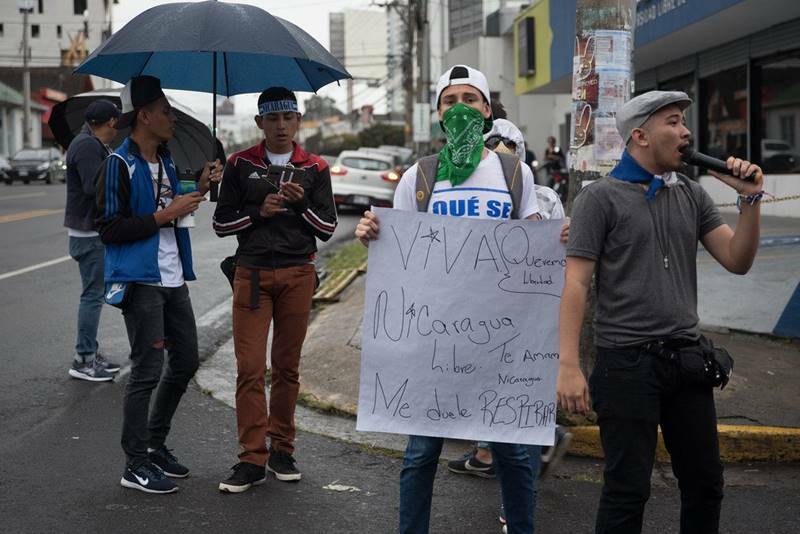 He was part of a group of rebellious students who protested against the hijacking of the university autonomy and demanded the end of the Ortega regime. Those were hopeful days, despite the fact that the repression had already caused dozens of dead, most of them young university students like him. The young people had organized themselves to gather food, medicines and to resist the violent charge of the regime. They expected the dictatorship to fall soon and that they finally could live in a free and democratic country. Ortega, however, unleashed the worst massacre suffered in Nicaragua in times of peace, a Clean-up Operation carried out by paramilitaries and police agents that has already left 325 murdered according to the Inter-American Commission of Human Rights (IACHR) of the OAS and which caused an exodus of Nicaraguans that was not seen since the Contra war of the 1980s. Immigration authorities of Costa Rica confirmed that more than 30,000 Nicaraguans have sought refuge in this country, fleeing from terror. A statistic that has faces, names, stories of courage, of commitment and dedication. Like Andres. “The first day they did let us protest in peace, they said that the university was our house and that we had the right to protest. But the following day the picture changed and they saw that what Leon students were doing was going fully forward, when there was a sit-in with a lot of people. 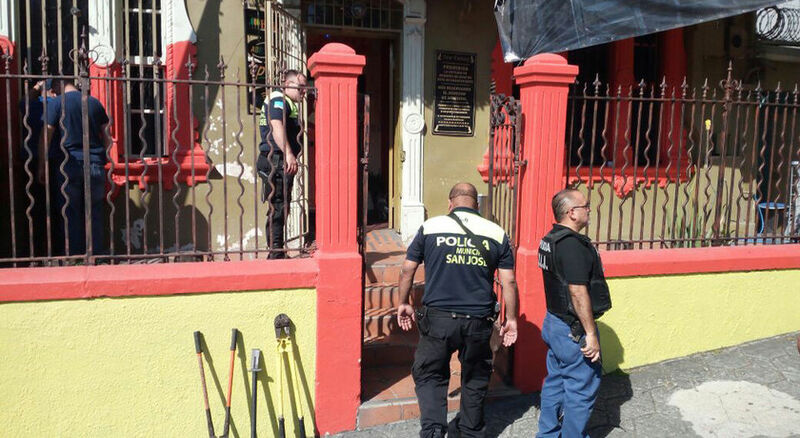 That is when FETSALUD (Federation of Health Workers), Health Minister Sonia Castro, the Director of HEODRA (Oscar Danilo Rosales Medical Training Hospital) and the Dean of Medicine arrived with paramilitaries and riot police, says Andres. The repression and fear of being apprehended made Andres flee from Leon. He spent weeks wandering around in Nicaragua, until he was able to cross the Costa Rican border through unmonitored passages. We interviewed him in Escazu, a high-class neighborhood in San Jose, for fear that his true whereabouts could be identified. The young man, who in April was looking forward to his medical degree, now walks around San Jose looking for any job. He has worked as a gardener, with a salary of 260 dollars that he had to stretch as in an act of magic. Today he still has 20 dollars left, which he intends to save until the guy who hired him looks for him again to do gardening in a house in the good neighborhoods of San Jose. 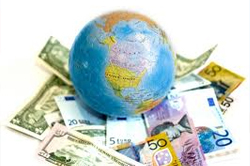 “This country is very expensive and finding work for an illegal is more difficult. Sometimes you get some work. What you earn you have to save to have food as long as the money lasts. Most Nicaraguans that I have been able to see are in even worse conditions, because when they run out of money they don’t know where to go. Some of them brought some savings, but in this country it doesn’t last, that is why you need to work, so you can maintain yourself,” he explains. In spite of these difficulties, he says that he’s been lucky: a friend introduced him to a Nicaraguan lady with a stable job that gives him shelter. But there are people who live in worse conditions, a fact corroborated by Luis Vargas, IACHR rapporteur for migrants, who visited Costa Rica in mid-October to verify the situation of Nicaraguans who have fled to that country. 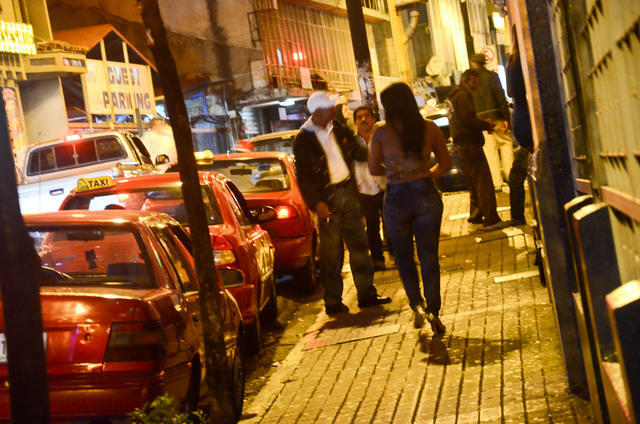 “There is a quite complex situation for them here in Costa Rica. There are people who are enduring hunger, and have no housing,” said Vargas in an interview at San Jose hotel. “Despite the efforts the Costa Rican Government is making to try to provide them with a shelter, they say that they are living in very precarious situations. The Government is somewhat optimistic in the sense that the measures it has been taking are sufficient and suitable. There is a contrast, consequently, with what civil society presents in this regard and what the Government maintains,” the rapporteur warns. Vargas affirms that he alerted President Carlos Alvarado to consider the possibility of decreeing an emergency given the flow of new immigrants arriving in the country. This is a decision that the Costa Rican authorities refuse to take possibly because of the political cost that this could mean for a government in full political crisis due to the discussion of a fiscal reform. 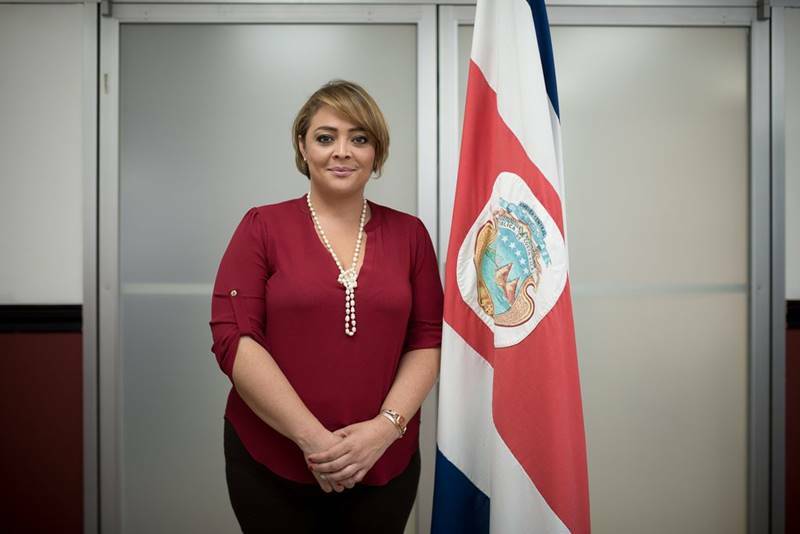 Raquel Vargas Jaubert is the Director of Migration of Costa Rica and assures that the country is prepared to assimilate the Nicaraguan exodus, because they took precautions after the wave of African and Caribbean migrants that they had to attend to two years ago. However, she admits that if the crisis in Nicaragua does not come to an end, they will have to request more international support. 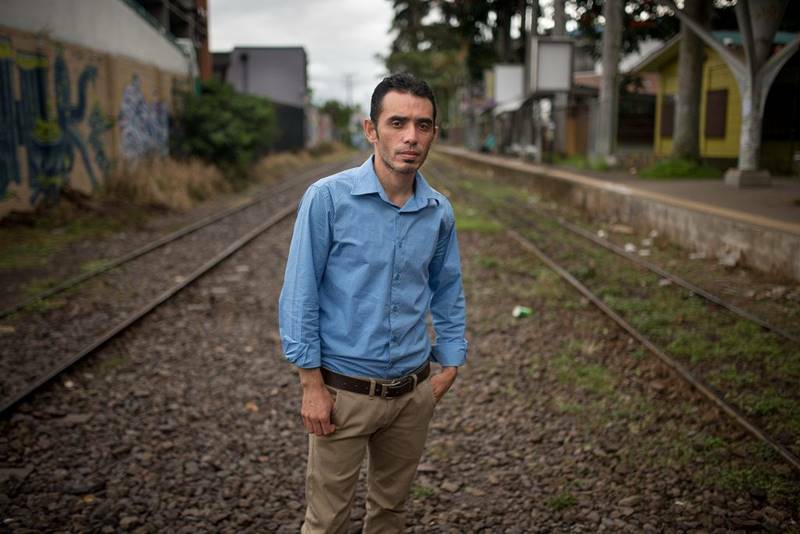 Nicaraguans, like Andres, are sure that the wave of migration will not stop and that in the streets of San Jose they will continue to bump into their old school and barricades companions. Along with him, the team of Confidencial that visited Costa Rica interviewed dozens of Nicaragua who fled for their lives, and who actively participated in the civic protest. Alvaro Gomez, a disabled former member of the Sandinista Army, tries to rebuild his life in Pavas. His son died during the protests in Monimbo. Teacher Alvaro Gomez, ex-combatant of the Popular Sandinista Army, decided to start a new life from zero with his family in Pavas, the most populous district of San Jose. He has a temporary home in a stifling rooming house. To access the rooms that the family rents in this building of hazardous construction, you have to access from the street through a long, dark and narrow corridor, which leads to a kind of tiled patio, a clothesline and a meeting area, all at the same time. It is here that he receives us, to tell us about the betrayal suffered from his party, the Sandinista Front, which he supported so that Daniel Ortega could return to power in 2007. “In the eighties I participated in the war against what they said was imperialism. I was a 17-year-old young man, I joined the fight and there I lost my leg,” relates Gomez. His son, Alvaro, who was studying the fourth year of banking and finances at UNAN, also believed in the Sandinista Front, until Ortega unleashed the repression against those who opposed a Social Security reform in April. Then, he joined the protests. He was murdered, says his father, by killers of the regime. The assassination of his son lead teacher Gomez to support the kids at the barricades in Monimbo. Gomez was fired from his job as teacher from the Central High School of Masaya, where for 20 years he taught physics and mathematics, and he began to be threatened. On August 4th, Alvaro Gomez decided to flee to Masaya with his current wife and two children. In Pavas they hope to rebuild their lives. “The real traitors of the revolution are not us, but the Ortega Murillo family, because they betrayed all the revolutionary principles. They have no principles to talk to me about the revolution,” stated this former combatant. Juan Gabriel Mairena, brother of the peasant leader Medardo Mairena, is alive and exiled in Costa Rica. The 34-year-old man escaped an attack by police and paramilitaries in the roadblocks located at the entrance to Juigalpa and Santo Tomas, in the department of Chontales, in central Nicaragua. His friends thought he was dead. The version provided by some residents to the media was that the peasant leader’s brother had been left in a thicket mortally wounded. 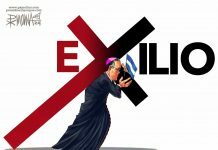 After the attack carried out last July 14th, the Police restricted access to human rights organizations and authorities of the Catholic Church who wanted to enter the area to investigate and search for bodies of people supposedly left between the road and the nearby hills. The attack by police and paramilitaries was excessive. They arrived in Hilux pick-up trucks armed with war weapons, Dragunovs and RPG 7. They shot mercilessly at the peasants. “We were escaping, but at the entrance of Santo Tomas they ambushed us. They had some flags to calculate the strength of the wind and be able to shoot us with high-caliber weapons, with telescopic sight and RPG 7 grenade launchers. They threw four at us, it was horrible,” stated Mairena in an interview with journalist Carlos Salinas, in Costa Rica, for the television program “Esta Noche” (Tonight). Mairena was transported by truck. At the time of the ambush, and before the imminent capture by the armed groups, he threw himself from the truck even though the officers and paramilitaries continued shooting. One of those shots went in and out of his left arm and penetrated his side fracturing his collarbone. 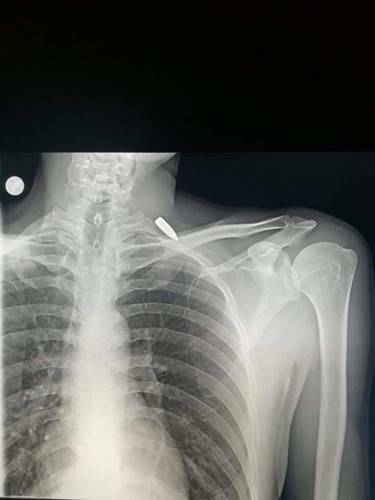 “It broke the bone,” he said. Despite being wounded, Juan Gabriel continued running without looking back. His other companions did the same. Stopping to confront the armed men and respond with stones would have been certain death. “A day before, many people had left the roadblock, because they already had us surrounded, so we were only a few. Since some of us managed to run, they took it out against the truck drivers that remained in the road. They received a burst fire and it is unknown the number of people that died there. The Police did not let anyone enter to lift those bodies. The priest from “Nueva Guinea” asked permission to pick up the bodies, but they only let him go through on the road. They told him that they will shoot him if he went into the hills, there at the entrance to Santo Tomas,” Mairena said. 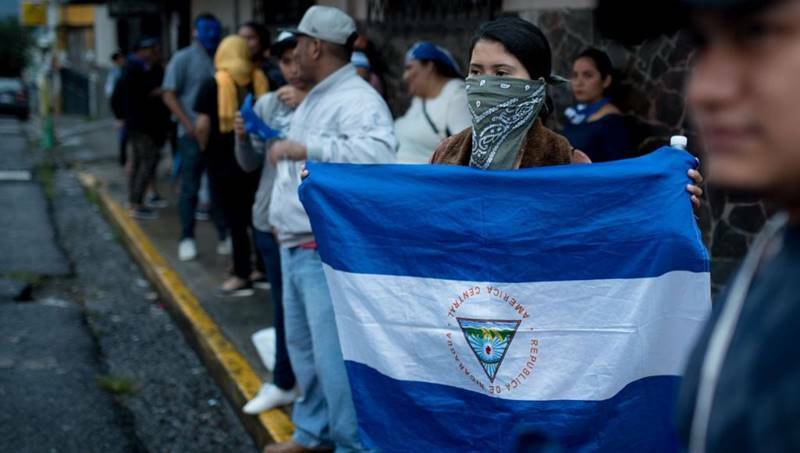 During the months of May, June and part of July, the peasants at the center and the north of the country blocked the main roads of Nicaragua as a form of protest against the regime of Daniel Ortega and Rosario Murillo. The peasant leader Medardo Mairena, a member at the Dialogue table, insisted that the roadblocks were spontaneous and that they represented a legitimate demand of citizens in several localities. The attack by police and paramilitaries began at eight o’clock in the morning and ended around three in the afternoon. Juan Gabriel and the rest of the peasants who managed to escape, went into the mountains to save their lives. Mairena continued to bleed profusely and he fainted along the way. “No one rescued us. We left on our own. I ran about 80 meters and fainted. They carried me about 35 more meters, but they (the other peasants) thought that I was dead and they left me in the stump of a tree. Later, I woke up, I sat down and I felt dizzy. I stayed a little while longer and then I left and fled for the mountains,” said Mairena. Juan Gabriel walked as best he could and left the area where the attack occurred during the night. The next morning, he took refuge in the house of a citizen who offered him rice and beans to eat. Then he walked for three days until he reached “Nueva Guinea.” There he was treated by a doctor. “When I was running away, I did not receive medical attention. The bullet wound bathed me in blood. It is a miracle of God (that the bleeding stopped), only Him could have given me the strength to get out. In ‘Nueva Guinea’ a doctor prescribed an antibiotic and stitched one of the wounds. Later, with tears in his eyes, he gave me a medication and told me that he could not do surgery because if the Government found out they would kill him,” he stated. 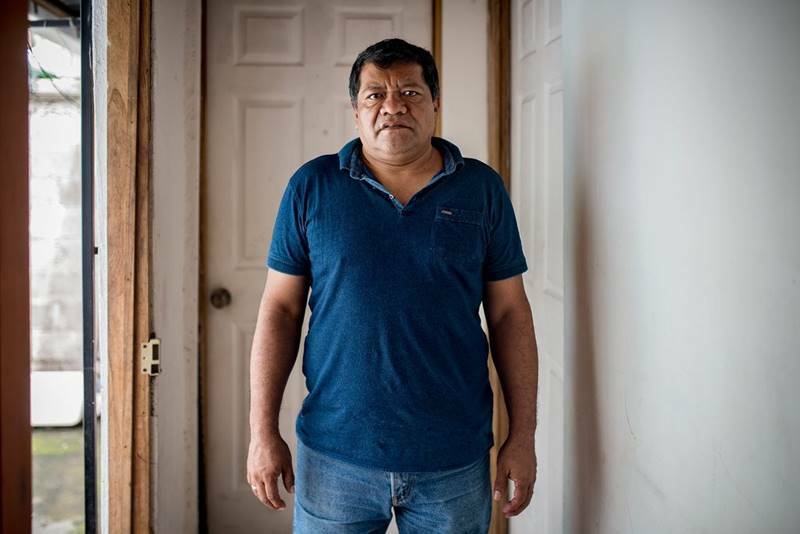 Mairena rested for four days in “Nueva Guinea.” He then decided to leave the municipality for fear that the police or paramilitaries would find him. He walked in the middle of trails through the mountains, with the bullet lodged in his body. Sometimes he was able to advance great distances and in other occasions he was able to cover only short sections of the track. That went on until on September 21st he finally arrived in Costa Rica. “I entered Costa Rica through an unmonitored passage. Here I received help with identification. 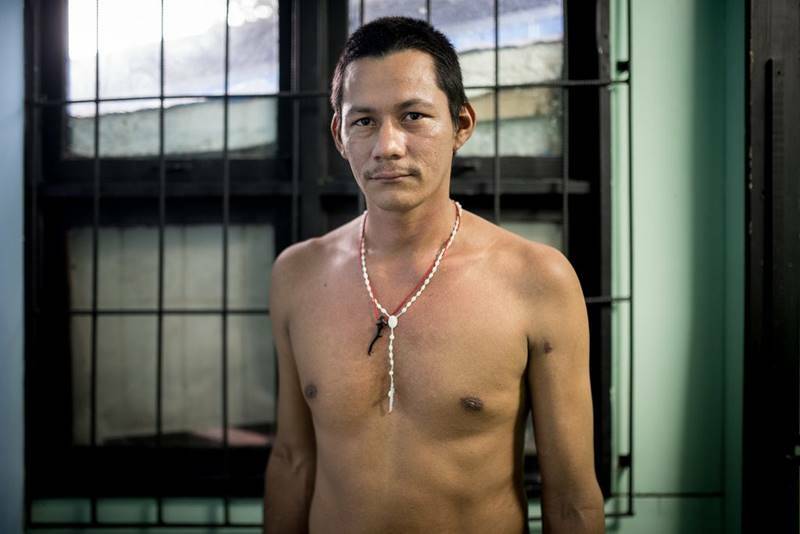 I told them that I was running away because in Nicaragua the law could grabbed me and the Government would kill me. It is embarrassing to call it a Government, because in reality it is only this man (Daniel Ortega) who is in power because Roberto Rivas wanted it,” expressed Mairena. Juan Gabriel is thin. He has big bags under his eyes and he occasionally complains of the pain caused by having the bullet lodged near his collarbone. Costa Rican authorities gave him an ID card that accredits him as a citizen who is expected to obtain his refugee status. Costa Rican Immigration has received at least 30,000 refugee claims from Nicaraguans since June 18, who have fled the regime of Daniel Ortega and Rosario Murillo. The latest statistics of that institution indicate that some 17,100 people have a provisional ID card, which is an identification of permanence in Costa Rica. “I only have this card. But I cannot get a job, and besides I have the bone broken in two parts. It has been very hard to be here. In these days, the Church has helped me with food. A doctor took six X-rays plates to find out where the bullet was, but I have not had medication to recuperate. I have not been operated, and they told me that it was risky to take out the bullet from where it is,” Mairena informed. From Costa Rica he has followed the news about the situation in Nicaragua. He is paying attention to the information related to his brother Medardo Mairena’s trial, and he suffers in silence when he reads about the cases of torture reported by the lawyers handling his case. “It is very painful to read that. The Government of Nicaragua does not take into consideration that Medardo is a humble person and is an example for the whole world. Medardo always told the people to fight in a peaceful manner. If it were not for that call to protest peacefully, the people would have reacted differently. And I can assure the Army, who is watching this (interview), that if the people were acting like them, Daniel would have gone to hell long ago,” Mairena said. Juan Gabriel says that he is “ashamed by what the Police and the Army are doing,” because they are not fulfilling their role. They act as “gang members” of the Daniel Ortega regime. He insisted that the role of officers and soldiers is to safeguard the people, not staining their hands with blood with so much injustice. “La Burra” and “El Aguila” are two young men who participated in the roadblock in Rivas and fled in fear to Costa Rica. Here they await the end of the regime. 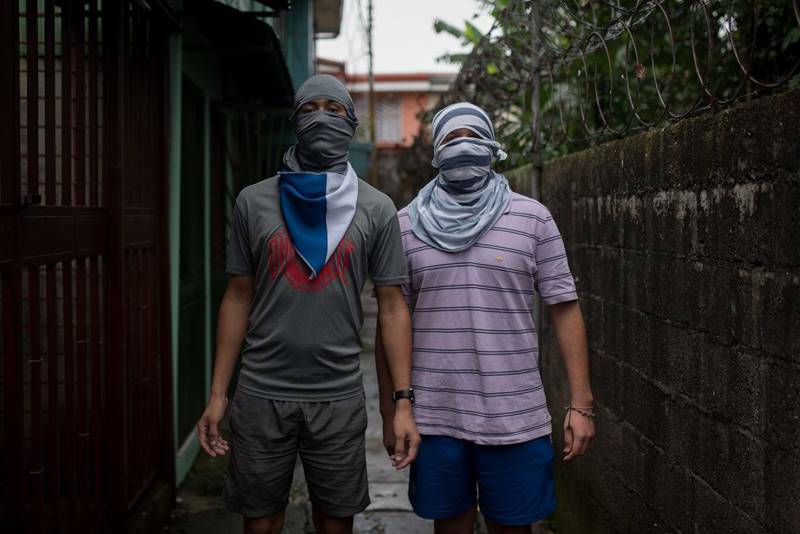 Most of the thousands of Nicaraguans who fled to Costa Rica are youngsters that supported the roadblocks/barricades, like “La Burra” who is 19 years-old and “El Aguila” who is 18. They are very young, therefore, are bold. Both were university students—of veterinary studies one and the other communication. They decided to participate in the barricades that were set up in Rivas. Both asked us to omit their identity. The adrenaline filled them in those days when the whole country decided to raise barricades against Ortega and these youths thought they were making their own revolution. They met face to face with brutality when Ortega sent his death caravans to attack Rivas. “In the main barricade they decided to begin to destroy them. We had about 30 people and were attacked by 80, 20 of them riot police and the rest paramilitaries,” tells “La Burra.” Many were wounded, some of them seriously. “A boy got hit on his foot and he was a great baseball prospect but regretfully that will not be, because of two bullet wounds in the knee. They were going to cut it, but thank God they did not, but he is crippled from that knee,” recalls the youngster. 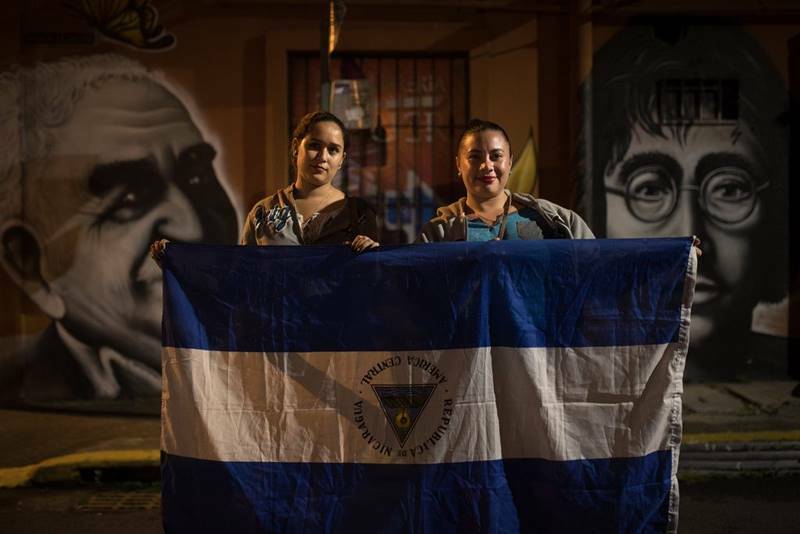 These boys assure that the barricades were a form of pressure to generate change in Nicaragua. When Ortega decided to dismantle them, their families, who supported their participation in the barricades, fearing for their safety, sent them to Costa Rica. They share a house with other four other friends in San Jose, among them two girls, which is financed by their parents. They receive food support from organizations, such as “Nicamigrantes” (Nicaraguan migrants). These boys spent their days in this house in San Jose. They rarely go out. They spend their time mostly playing “Free Fire” lying on the mattresses in a windowless room, damp and suffocating. They follow the news online, and cook their own food. They are the “ni ni” (neither work, nor study) produced by the crisis in Nicaragua. Their hope is to return to the country soon. “I miss my relatives; they are making a lot of effort so that I can be well here. It was painful to leave all my friends, my university, not being able to continue studying. I had high hopes and now I do not know when this will end. Here we are, waiting for a positive outcome,” says “El Aguila” regretfully. “La Xavi” and Maria supported the roadblocks of Jinotepe and managed to flee when Ortega ordered the “Clean-up Operation” against this municipality. A wooded area on the campus of the University of Costa Rica is the ideal setting for “La Xavi” and Maria to tell us their story. The young women attended the appointment with their lips painted in carmine, a nod to the campaign of #SoyPicoRojo (I am red lips) that defies the Ortega regime. They were together in the roadblocks of Jinotepe, where one of the worse massacres unleashed in the context of the “Clean-up Operation” was registered. This is narrated by “La Xavi”: “They attacked at five o’clock in the morning of July 8th. I was in the command post of the main roadblock and we were beginning to receive information from the various roadblocks that they were attacking. They attacked from all fronts, they were paramilitaries, soldiers and police officers shooting with high-caliber weapons. The former editor of the official website the “19 Digital” speaks from his exile in Costa Rica and assures that Vice-President and spokesperson Rosario Murillo ordered journalists to ignore the truth about the repression that has left 325 dead. 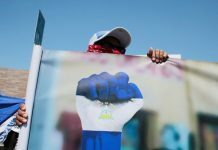 Since the civic protests against the government of Daniel Ortega and Rosario Murillo began in April, official media outlets have disqualified the demonstrations as an “attempted coup d’état by the right,” and that is no coincidence. “Anyone who opposes the Sandinista Front or Daniel Ortega, is (categorized) as a rightist,” assures the former editor of the official outlet 19 Digital, Mikel Espinoza, now exiled in Costa Rica, in an interview with journalist Carlos Salinas, for the program “Esta Noche.” (Tonight). Espinoza says that in the government media there are guidelines that do not allow them to discuss, inside the newsroom, the journalistic coverage of the crisis in Nicaragua. 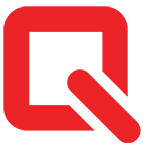 The “compañera” (comrade), as they are told to call Murillo, is the person in charge of the “communication council” of official media outlets. She ordered that the main objective of the media was “not to inform” about what was happening in the country. “The only thing that was to be reported was press statements from the National Police and whatever the “compañera” said, everything official,” expressed Espinoza. The journalist added that reporters from that media were not going to cover the first protests and were guided by what the Communicators’ Network, aligned to the governing FSLN, sent them. “We were not going to the protests, the Communicators’ Network was there to pass photos, videos, but the journalists were not there,” he said. However, he says that starting April 20th, two days after the social outbreak, they began to provide coverage. Espinoza is now exile in Costa Rica. After presenting his letter of resignation, he left Nicaragua because he wanted to “detoxify.” I felt out of breath, I wanted to detoxify. Living in Nicaragua is frightening, especially for someone like me who worked for the Sandinista Front,” he commented. For Mikel, the burning of a house in the Carlos Marx neighborhood, where six members of a family (including two children) died on June 16th, was grotesque. “The crying of those children when they were burning and the manipulation by the government,” were the trigger for the journalist to make the decision to leave the newsroom of this government media. At that time, he drafted his resignation letter regardless of whether he was paid. “I didn’t care if they did not pay my severance payment, I didn’t care, I could no longer stand it,” he said. Mikel had already witnessed the May 30th Mother’s Day massacre, which left more than a dozen dead, one wounded with “brain death” and dozens hospitalized. “I had seen so many people die, so many children, so many things that I did not agree with,” he stated. The ex-editor of the ruling party media adds that he did not want to have problems with his co-workers, nor with the Sandinista Front. “I saw the reaction in my colleagues when other colleagues resigned, and I did not want to be exposed to that,” he explained. The journalist added that he has never fired a weapon and that while he was editor of 19 Digital never did anything for which he could be reproached. “I never did things for which I could be reproached, I even softened many of the attacks, but all that was accumulating until I said I am leaving, I couldn’t stand it anymore,” he said. Espinoza stated that he had a political conviction with the Ortega regime and believed that he could do journalism in a media like 19 Digital. “I felt quite comfortable, I agreed with many things that the Front did,” he noted. “They finished killing it, they were killing it little by little, but beginning on April 18th, they killed the Sandinista Front,” he emphasized. Espinoza maintains that journalism is his life and that he wants to continue practicing the profession, which he continues to do from a personal blog. Now, from Costa Rica, he follows every day what happens in Nicaragua. “I have not disconnected myself at all from what is happening in Nicaragua,” he added.